The Echelon Team ranked within the Top 5 Teams Nationally from 1995 through 1998. However, after a few prosperous years, the partners decided to end that enterprise and Mike decided to create his own team, and Premiere Team was born. This is my 3rd transaction with Mike Cusimano & The Premiere Team. Obviously I think they do a great job, and have recommended them highly to several people. The Premiere Team went far beyond just selling a home. I don't know how I would have gotten through all without them. They are outstanding and very caring. Everyone should use Mike Cusimano. It's amazing how prompt you all are Mike, and The Premiere Team, in responding to our questions! You made both our buying and selling experience go smooth. Mike did an excellent job of helping my wife and I buy our first home. "Dear Mr. Hill, As you know, before I came to Texas, I was involved in real estate lending, in Southern California, for over twenty years. During that time, I have to say, many of the people I worked for, and with, left much to be desired, from a knowledge, or ethical, standpoint. I wanted to tell you, and Mr. Cusimano, how impressed I am, with Premiere Team's training videos. The scope, and depth, of Mr. Cusimano's knowledge are REALLY impressive. Not only are the videos full of valuable, and useful, knowledge, about things I didn't know I didn't know, but Mr. Cusimano's personality, and ethical standards, REALLY come through. Coming from the lending side, I did not know much about being a realtor, and I was very concerned. I didn't know how well my knowledge, and skill-set, would translate, or how I might be able to apply them. Therefore, I held back, trying to "test the waters", without getting in too deep. After seeing the training videos, I am MUCH more comfortable. Although I can see I have much more to learn, I can say that my misgivings have disappeared. Now I feel like, regardless of the situation, I can rely on Mr. Cusimano to know the RIGHT thing to do, and to DO the RIGHT thing. But, much more importantly, I feel like, if I make a mistakes, there will be someone there who is capable of helping me to overcome them. I can't wait to get started, in earnest, and I look forward to many years of success, at Premiere Team Real Estate." "I called several Agents on a Saturday morning without one pick up until I called Mike Cusimano. He spoke to me briefly and I was SOLD. He was a hard negotiator, very professional and yet a lot of fun to buy my first house with. Mike is GREAT! I'll never consider anyone else." Mike Cusimano has been a longtime friend and client. I've used him several times for helping me buy and sell properties and it was great having his help...especially his expertise for flipping property. I had the pleasure of working with Mike on a Real Estate sell of 2 properties. The market at the time was at the bottom to say the least. Other agents had offered assistance, but didn’t have a can do attitude about it. 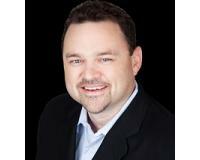 Mike's breadth of knowledge in regards to marketing and real estate make him a success. Mike has proven to be a valuable resource and is always willing to perform beyond expectations to assist in getting the job done. I recommend Mike for his ability to keep striving for results, where others give up. I've worked with Mike's group in helping sell our house in Round Rock. He and his team did a great job and was able to sell the house very quickly and at a good price. I would highly recommend Mike's group and expertise. ""Dear Mr. Hill, As you know, before I came to Texas, I was involved in real estate lending, in Southern California, for over twenty years. During that time, I have to say, many of the people I worked for, and with, left much to be desired, from a knowledge, or ethical, standpoint. I wanted to tell you, and Mr. Cusimano, how impressed I am, with Premiere Team's training videos. The scope, and depth, of Mr. Cusimano's knowledge are REALLY impressive. Not only are the videos full of valuable, and useful, knowledge, about things I didn't know I didn't know, but Mr. Cusimano's personality, and ethical standards, REALLY come through. Coming from the lending side, I did not know much about being a realtor, and I was very concerned. I didn't know how well my knowledge, and skill-set, would translate, or how I might be able to apply them. Therefore, I held back, trying to "test the waters", without getting in too deep. After seeing the training videos, I am MUCH more comfortable. Although I can see I have much more to learn, I can say that my misgivings have disappeared. Now I feel like, regardless of the situation, I can rely on Mr. Cusimano to know the RIGHT thing to do, and to DO the RIGHT thing. But, much more importantly, I feel like, if I make a mistakes, there will be someone there who is capable of helping me to overcome them. I can't wait to get started, in earnest, and I look forward to many years of success, at Premiere Team Real Estate." "